Congratulations! You want to become a truck driver. When you make this determination, you need to be aware that there are certain training and qualifications needed for this line of work. Not only does this help you to be a safer driver on the road, but it helps weed out those applicants who aren’t really suited for the rigorous and demanding nature of the job. Drivers who choose a career in trucking must be independent and self-reliant and able to deal with things without relying on someone else. Before you can even consider training for trucking jobs, you will have to make sure that you are old enough. For trucking within your own state, you must be at least 18 years of age. For trucking across the country, you must be at least 21. However, it is also important to note that many companies will not hire persons younger than 23. In many cases, this has to deal with the high costs of insuring a younger driver. The training needed to get a trucking job starts with CDL training, which will give you your Commercial Driving License or CDL. This license is required for anyone who wants to drive an 18-wheeled vehicle. For this test, you will be required to take a written exam that goes over the major parts of driving the truck. You may also decide to take other endorsement tests to drive tanker trucks, trucks with double or triple trailers, or trucks carrying hazardous materials. Provided that you pass the written exam, you will be issued a driving permit. This permit will allow you to drive a truck only if there is a CDL-licensed driver with you. In most cases the permit will be good for 6 months, which will give you enough time to go to truck driving school to learn how to actually handle the larger vehicles. The next set of skills and training for jobs in the trucking industry comes from a truck driving school. The school’s objective is to teach you how to safely and successfully manage driving the larger trucks so that you can pass the driving skills exam needed to obtain a CDL license. It is very important to choose a school that gives you plenty of training, since truck driving will become your career. 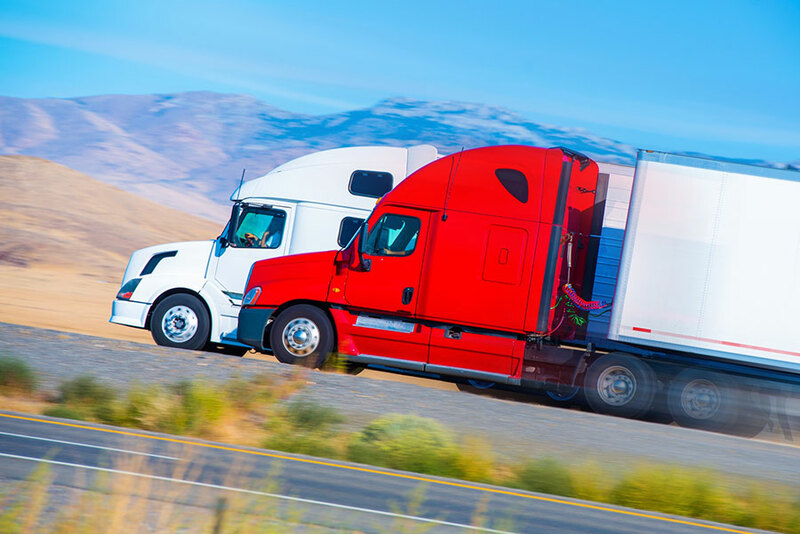 There are numerous certified truck driving schools that are widely recognized and accepted by trucking companies, making it easier for you to find a job once your training is complete. The last part of training involves taking the driving skills exam. This is done once you have graduated from driving school. The point of the exam is for you to prove that you know how to inspect the truck before driving, perform an air brake test, and maneuver the truck safely on the road. It will also include basic skills like backing up and parking. Most test givers will start the test in a private driving area and then have you complete the exam on the open road with other drivers. Once completed, you will be given a full CDL license and will be allowed to drive a truck on your own. Hello there, I just found this site,(Sweet) and I see that you have no info about drivers that have been off the road for awhile and still hold there CDL’s. It seems that the schools and insurance compaines are in co-hoots with the trucking companies. From my understanding they want one to go back to school if one has been off the road for a time( paying monies for there own profit)…..Well my question is this? If someone has a bachlors degree and don’t use it for some time in a specific area, does that mean they have to go back to school to get another degree? Why are they trying to make drivers go back through school again. If one can pass the road test, and have a clean driving record then what’s the problem…there are alot of drivers out there, that have gotten off the road for one reason or another, and have gone through school at one time. But now; thery want to make more money off the seasoned drivers again. It like riding a bicycle, you don’t forget..instead of these companies hiring newbee’s and newbee training newbee’s and accidents everywhere. What is going on in the industry? Insurance compaines are worried about older experienced driver? When these new driver have no clue and are teaching others to drive. It take about 2 years experience for a driver to get with the program, and they are training others with 6mo experience. So in conclusion, BRING Back the older drivers, who need jobs and less accident, more safety on our highways, and retention will raise. Someone need to stop this! I have 10 years of experience of OTR, hold a full CDL and Hazmat, was hired with a company with words, kept telling me that, “oh will bring you on as soon as we can get more freight. but right now we are hiring from the schools, because, we have a contracts with them. And get this” you won’t make us any money! Wow !!! So it’s not about moving freight in a safe and timely manor. But making money off the students who may or may not last out there, with the chance of having accidents, low retention, ect. Wow , no wonder our insurance rates are high. I Am speaking out for all those seasoned drivers that want to go back on the road with out having to go back through school, paying $4,000.00- $8,000.00 for others to profit and find a way to make money, instead of just moving frieght, and using qualified drivers. I am in the same boat, only without as much experience. How can we investigate the apparent collusion between the trucking companies and the driving schools? (Mine went out of business, so I can’t even return for a refresher course!) And are there illegal kickbacks, other financial shennanigans going on? Perhaps a letter to your state’s top prosecuter/attorney general to look into it: Discriminating against an experienced driver unless they go back to a company-approved driving school that may have a financial relationship with the company smacks of extortion to me. You all need to understand the hurdles the companies face. Insurance companies have VERY SPECIFIC guidelines as to what and who they will insure. Even Students from Driving schools are a tremendous risk. And as far as “contracts” between schools and companies, the massive lack of quailified drivers, Schools can say “all or none” to trucking companies. My suggestion is start with a small company. They are more willing to work with you. My boyfriend of 8 years and I just graduated. Both Class A. Our personal situation allows us to be out for long periods of time. Our only issue is we have a dog and cat. This is our family. I would think the companies would love us. They want teams. The other issue is there aren’t many women trainers. Boyfriend doesn’t have to wait, but I may have to. Any advice on how or what to say to recruiter.